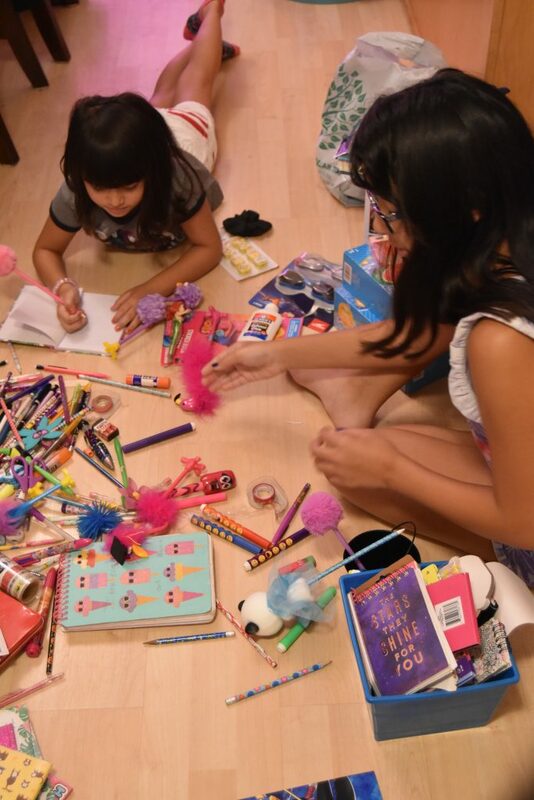 Are craft and homework supplies taking over your home? We have a solution! Enter the craft cart and homework station. 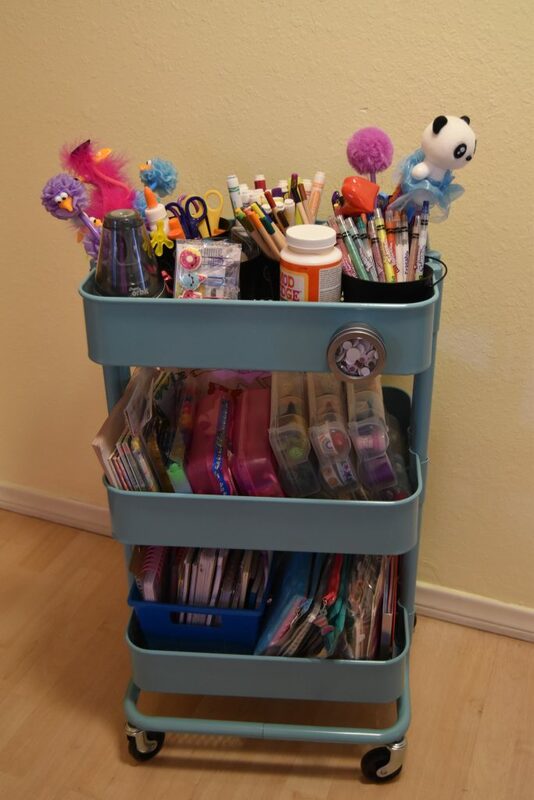 This cart is easy to keep organized and move out of sight when not in use. We picked up this three-tier cart with wheels at IKEA. However, you will find that other stores are now making similar carts. You can also find it in different colors to match your home decor. 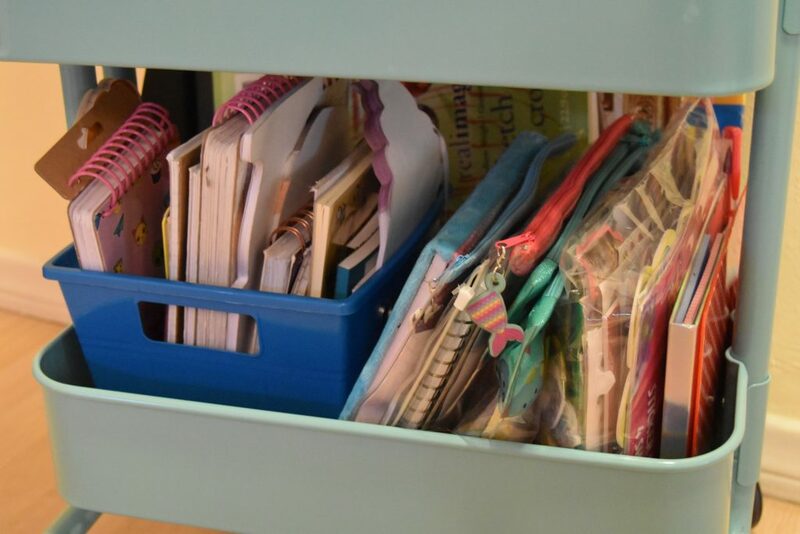 Read on to see how we organized our craft cart and homework station. 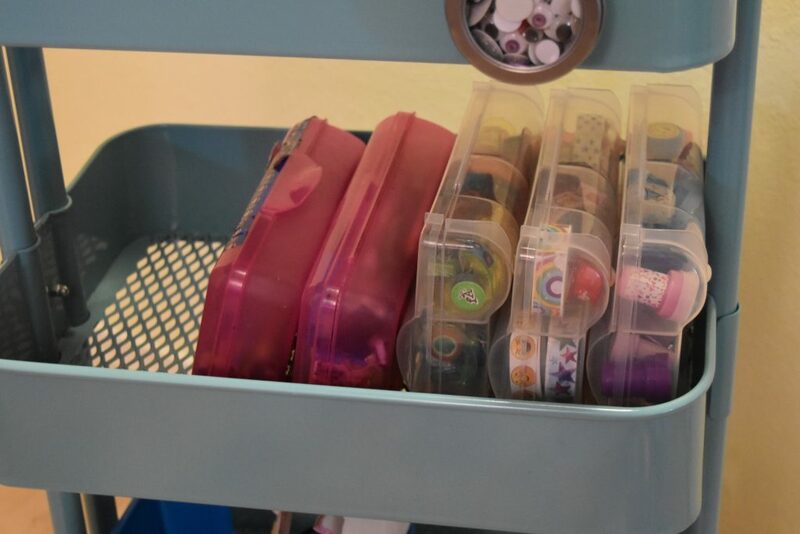 1.Purchase some small containers to organize your craft and homework station. I purchased some clear compartmentalized cases from the dollar store. These were used to organize items such as washi/decorative tape and stamps. We also purchased some inexpensive pencil boxes to organize the many wooden and mechanical pencils the kids have collected over the years. 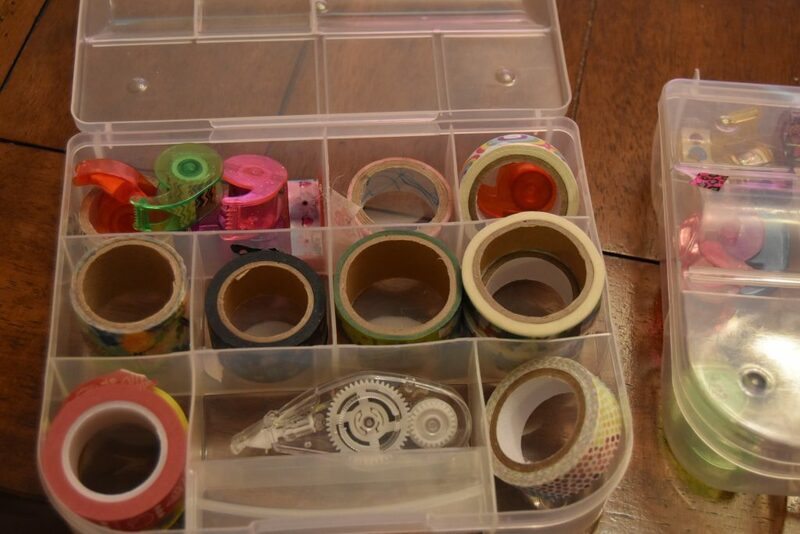 Washi tape organizer. There is a lid so that you can stack or store the case sideways. I used the same style case to store stamps. You might also want to purchase some small buckets to separate items such as pens, markers, and scissors. We found some in the dollar spot at Target. 2. Categorize your crafts and homework tools in a logical way. 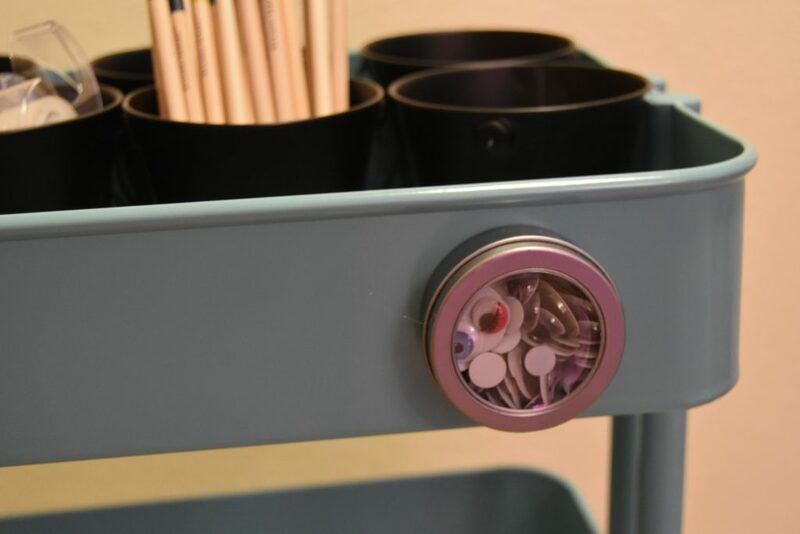 This makes it easy for you or your kids to put things away and keep the craft cart and homework station nicely organized. We placed all of the small buckets on the top-tier. We put novelty pens in one bucket, scissors in another bucket, etc. Note we placed the rulers in the side, along with an electric pencil sharpener. 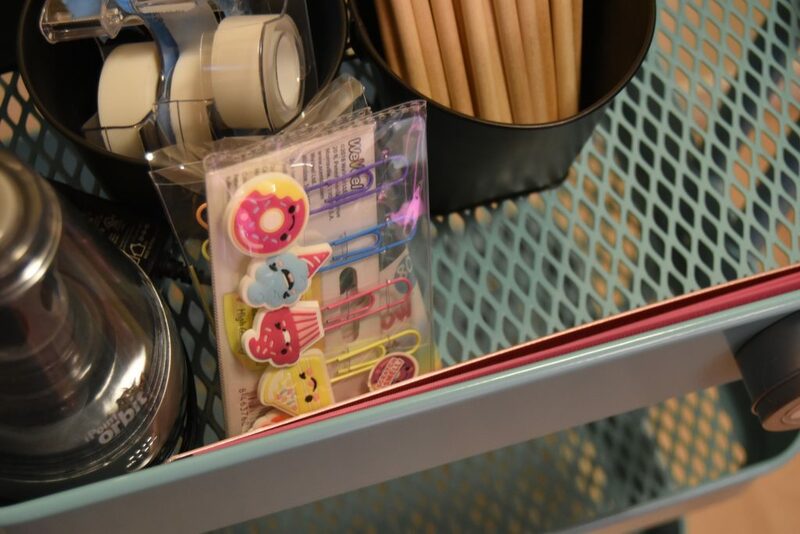 You can purchase a magnetic holder for small items like googly eyes. This is very convenient and easy to store. 3. Place pencil boxes, washi tape containers, etc. on the middle tier of the craft cart and homework station. We place the boxes in an upright file position in order to make it easy to see what we have. I found that sitting the boxes flat and stacking on top of one another made it difficult to see what we had. The stuff at the bottom either never got used or the cart degraded into a big mess. Store boxes upright like files for easy inventory and access. 4. Corral small notebooks in a bin on the bottom tier of the craft cart and homework station. 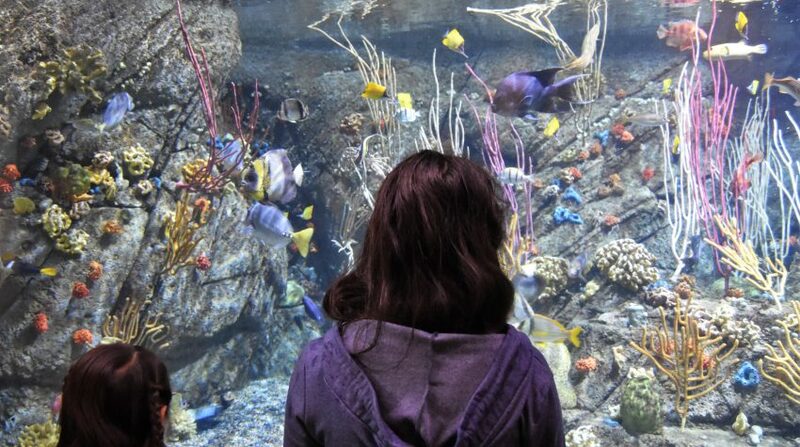 Place large coloring books in a file. We stored sticker sheets in a freezer gallon bag to keep them together and make them easy to store. The kids were weeding out what they no longer use, then categorizing what they wanted to keep. SoCal Dog making sure the kids stay on task. It limits what you can keep. You are able to see what you have and easily access it. You have all crafts at your fingertips. No more walking back and forth to find all of your supplies. You can roll it from one room to another. We put the cart away in the hall closet or a kid’s room when not in use. This is especially convenient when company comes over and you can just roll it out of sight. 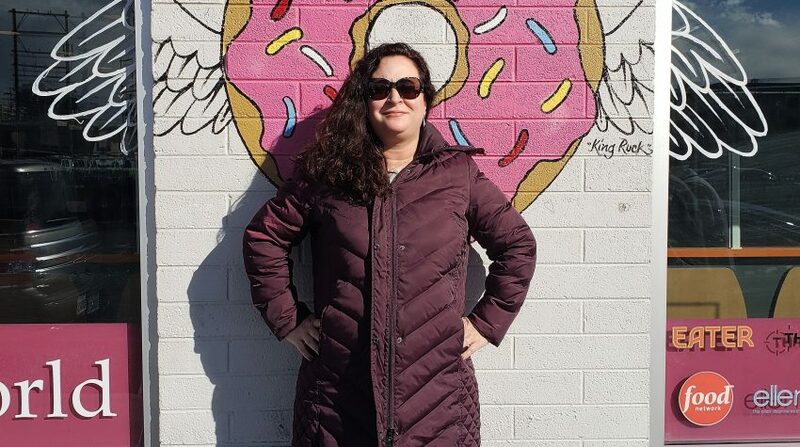 Are you looking for a DIY? How about a fairy garden? Check out our Fairy Garden DIY here. This is practical and adorable!! Thank you! I also love that you can spray paint the cart to be whatever color you want. Thanks for reading!